The Chroma-Q® Studio Force D Compact™ is a powerful 6,100K CCT, daylight white lighting tool that works in perfect harmony with the popular Studio Force range. The Compact is a cost effective workhorse, specifically designed for TV, film, touring, exhibitions, corporate events and theatre lighting applications. Utilising core LED technology from the Studio Force range, the fixture provides 2,800 lumens in a cost-effective, slim, compact profile, while maintaining colour compatibility with the rest of the range. Despite measuring only 212mm / 8.4" in length, the Studio Force D Compact™ produces an extreme output of 2,800 lumens – over 60% more white light output than its RGBA colour variant – making it ideal for lighting areas with a very small footprint. 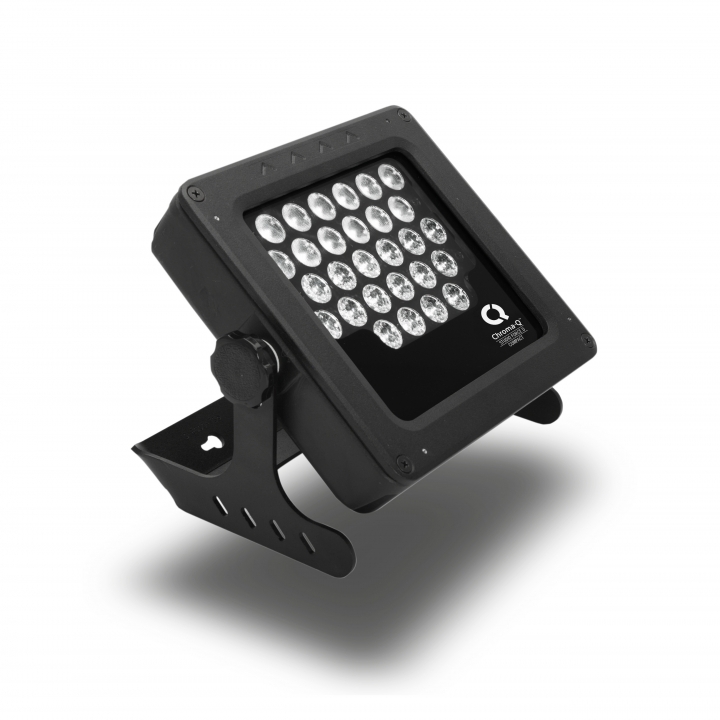 With its rugged external design and IP65 rated casing, the Studio Force D Compact™ has been designed as a multi-purpose workhorse fixture suitable for numerous entertainment lighting applications - including uplighting, pipe-end shin-busting, backlighting, truss toner and other wash applications. Up to five fixtures can be daisy-chained from each 15-way Compact PSU output, eliminating the need to home-run a cable from each fixture back to the PSU. In addition, up to four fixtures per output can be daisy-chained on a Chroma-Q® Color Block™ PSU (PSU-05B, PSU530). The Studio Force D Compact™ enables an even wider range of users and budgets to utilise the power of the Studio Force as a creative lighting tool. The Studio Force D range's camera friendly custom optical design provides a smooth, uniform output, matched by theatrical grade dimming. For real versatility and compatibility with existing lighting inventories, the Studio Force D Compact™ is compatible with City Theatrical top hat, half top hat, egg crate louver and barn door accessories. The accessories also fit other models from the Force Compact range. The fixture is supplied with a holder for these four optional accessories, as well as interchangeable clear and frosted glass light lenses. An optional W-DMX wireless accessory for the 15-way PSU is also available. Complementing other models in the range, the Studio Force line-up now provides a full choice of creative tools for almost any entertainment application. Variable white and RGBA colour variants of each model are also available – see the Color Force range. 212mm x 196mm x 152mm / 8.4" x 7.7" x 6"
67mm x 254mm x 241mm / 10.5" x 10" x 9.5"